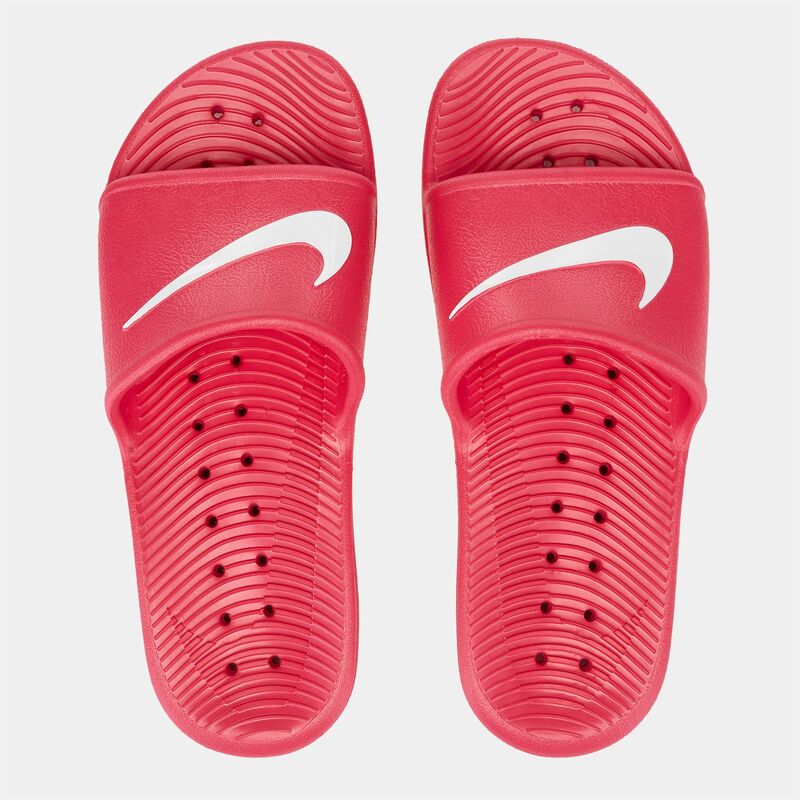 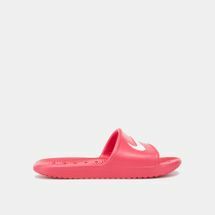 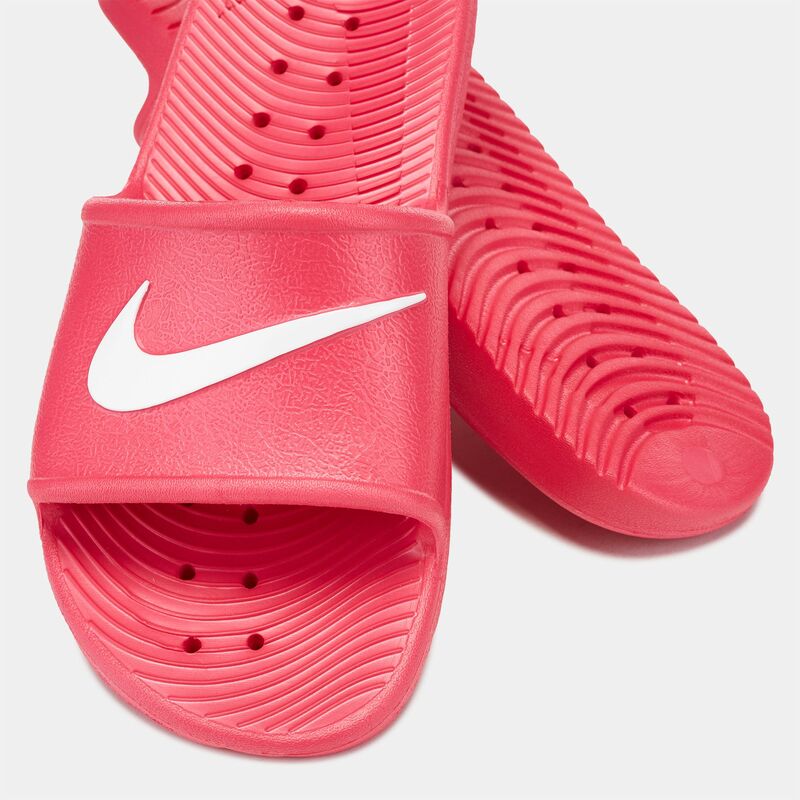 Ideal for your after-workout showers, the Nike Kids' Kawa Shower Slides come with a wide, durable strap that is accented with the classic swoosh branding detail. 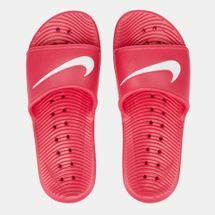 The contoured, cushioned footbed and the SolarSoft midsole will nestle your tired feet providing maximum comfort. The patterned synthetic outsole is perfect for the grip you need on the water.